Starting in 2014, consumers who needed to replace light bulbs in their homes have found fewer old fashioned incandescent bulbs on store shelves and more LED bulbs. Federal regulators began phasing out the old type of light bulbs because they tend to use a lot more electricity to generate light. They also generate a lot of heat, which might be fine in the winter but not so good in the summer. A study by the Consumer Federation of America estimates that consumers using at least 20 light bulbs can save $1,000 or more over a 10-year period just by using the new LED bulbs instead of the traditional incandescent or halogen bulbs. The study focused on the equivalent of the 60-watt soft white bulbs. It looked at 17 LED bulbs and found that each had a 10-year cost of less than $15.40. That compares to at least $61 for the 15 incandescent or halogen bulbs that were part of the study. The study authors base their larger findings on the fact that the typical home has at least 20 light bulbs. Switching all those bulbs to LEDs, the authors conclude, would save at least $1000 over a decade, averaging out to $100 a year in savings. The light bulb landscape has changed significantly in the current decade. 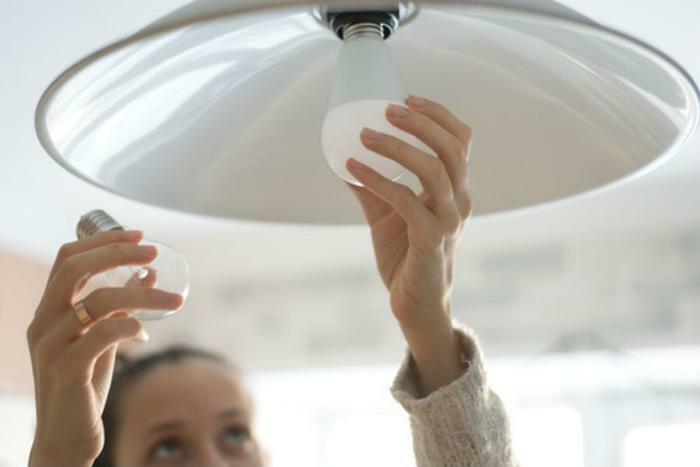 In 2012, consumers largely had the choice between the incandescent bulb, which hadn't changed all that much in 125 years, and the compact fluorescent light bulb (CFL). That's when halogen bulbs began to take off, representing an enhancement of the incandescent bulb. But these bulbs also produced heat and used a lot of electricity. Since then, regulations have gone into place phasing out incandescent bulbs over a certain wattage. CFA says that led to huge increases in shipments of LED bulbs. These bulbs, the consumer group says, now dominate displays and sales at major retailers like Walmart, Costco, Target, Lowe’s, and Home Depot. The CFA analysis also found that the average price of LED bulbs has fallen since their introduction. The group says 60 watt replacement LEDs are now available for well under $5 a bulb at most stores. CFA executive director Stephen Brobeck says the massive scale of lighting in the U.S. offers a big opportunity for savings. With so many light bulbs now using less energy to illuminate a room, consumers stand to save billions of dollars over time.